No one deserves to miss out on the southern comfort food that is cornbread. Whether you've got food sensitivities or ethical reasons for not eating eggs, there are got a lot of egg-free options when it comes to making cornbread. Dairy fat, soy or flaxseed (+ a pinch of baking soda) are all suitable egg replacements. 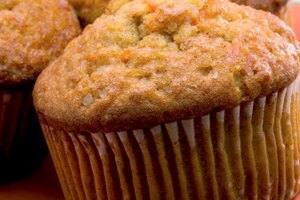 For a go-to muffin recipe sans eggs, check out this recipe. 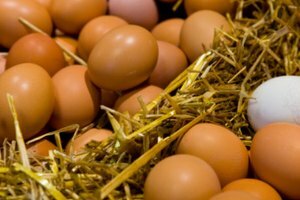 Eggs have two ingredients that make them ubiquitous with cakes and quick breads: lecithin and fat. 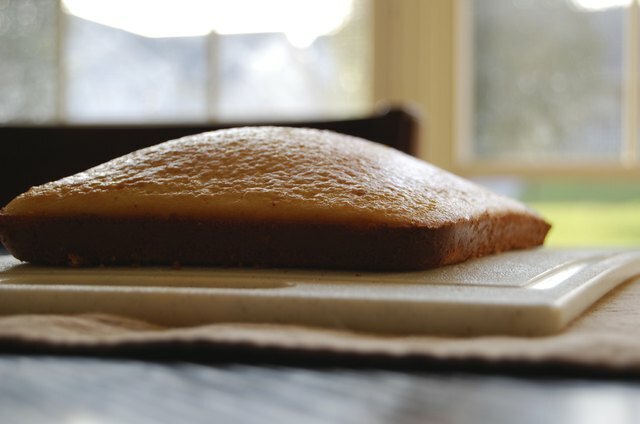 Lecithin binds the miscible with the immiscible -- oil and water -- to create a uniform, homogenized cornbread batter with a moist, dense consistency. Air gets trapped in the egg yolks when whipped, which helps the cornbread to rise during baking. 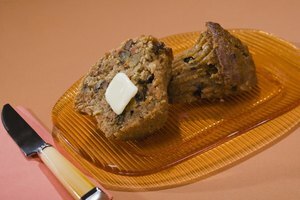 Several ingredients leaven and emulsify, but soy, dairy and flaxseed work best as a substitute for eggs in cornbread. Several ingredients can add moisture and richness in place of eggs, but none emulsify cornmeal and milk as effectively as flaxseed. Flaxseeds have hard shells, or seed coats, comprised of about 30-percent fiber, a majority of which consists of sugar-based gums. Gums are powerful emulsifiers. 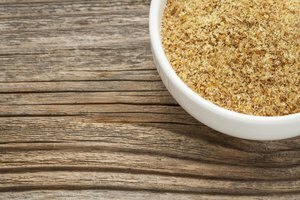 When mixed with water, the gum in ground flaxseed gels and stabilizes the cornbread batter, just like the lecithin in egg yolks. Replace each egg called for in a cornbread recipe with 2 tablespoons of ground flaxseed, 3 tablespoons of water and a pinch of baking soda for leavening. Thick dairy products -- cream, sour cream and yogurt -- impart the textural qualities egg yolks give to cornbread and facilitate binding between cornmeal and milk. Sour cream and yogurt aren't emulsifiers, but their viscosity and fat content make them a natural fit for cornbread recipes that call for milk. When whipped, dairy fat aerates -- similar to whipped cream -- and increases the volume of baked goods like a leavening agent. The more fat the dairy product has, the more stability it will impart. That's why it's necessary to use heavy cream, sour cream or yogurt. Use 2 tablespoons of heavy cream, sour cream or yogurt -- along with a pinch of baking soda -- for each egg needed in your cornbread recipe. Soy products contain lecithin and have the same emulsifying effect as eggs. You can buy soy lecithin in powdered form from health-food stores and online retailers and simply add about 1 teaspoon to the cornbread batter; however, using soy lecithin alone won't compensate for the volume, structure and texture eggs create. To remedy that, add powdered soy lecithin to thick dairy products, or go 100-percent vegan and substitute 1/4 cup of silken tofu for each egg, along with a pinch of baking soda. Use soft, silken tofu in cornbread; firm and extra-firm tofu weigh heavily in the batter and limit the bread's rise. Add silken tofu at the same time you would add eggs in the cornbread recipe. You can also use a light cornstarch slurry as a vegan substitute -- 1 tablespoon of cornstarch mixed with 3 tablespoons of cold water -- for each egg called for in a recipe. Vegetable-based egg substitutes typically contain modified starch, such as tapioca and potato, along with a leavening agent and cellulose gum. Egg substitutes basically contain the same emulsifying ingredient as flaxseed: cellulose gum and cream of tartar in a starch base. Mix and add 1 1/2 tablespoons of vegetable-based egg replacement powder and 2 tablespoons of water for each egg called for in your cornbread recipe.